Paavai Institutions has signed an MoU with Salem Youth India Association to pave a way to enrich the student skills. Shri.CA.N.V.Natarajan, Chairman of Paavai Institutions, presided over the inaugural function. Dr. Ashwin Nithish, Founder, Breathe Foundation and Thiru. Dinesh K.Amuthan, Vice President, Salem Youth India Association were the chief guests. Ms.S.Srilekha, Second ECE, welcomed the gathering. Later, Shri.CA.N.V.Natarajan, Chairman of Paavai Institutions and Thiru. Dinesh K.Amuthan, Vice President, Salem Youth India Association, signed the MoU. The guests Dr. Ashwin Nithish and Thiru. Dinesh K.Amuthan, Vice President, Salem Youth India Association, delivered their speeches. They spoke that they were happy and proud on seeing the young and energetic youths of Paavai. They mentioned about the recent technological advancements including mobile applications like uber, ola, zomato, swiggy, oyo where the customers feel handy. It was stated that even if the startups by the young entrepreneurs are small, their hard work and smart work shall lead to a big success. 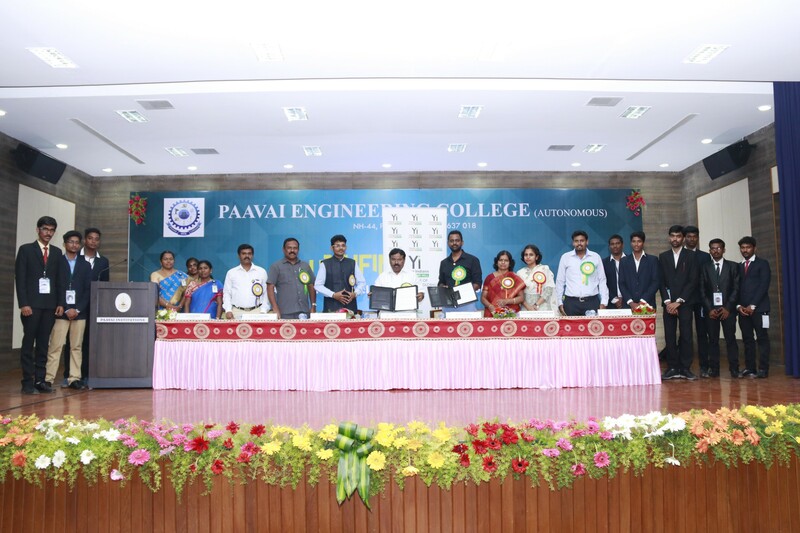 Dr.K.K.Ramasamy, Director Admin, Ms. Avanthi Natarajan, Director , Student Affairs, Mr.Rajavel, CEO, The Art Brew, Dr.M.PremKumar, Principal, Paavai Engineering College, Deans, Heads of all the departments, Faculty members and the students attended the function. Mr.M.Yuvaraj, Final Civil, proposed the vote of thanks.